During the reign of Trajan over the Roman Empire, the Romans experienced a great amount of resistance from the kingdom of Dacia. 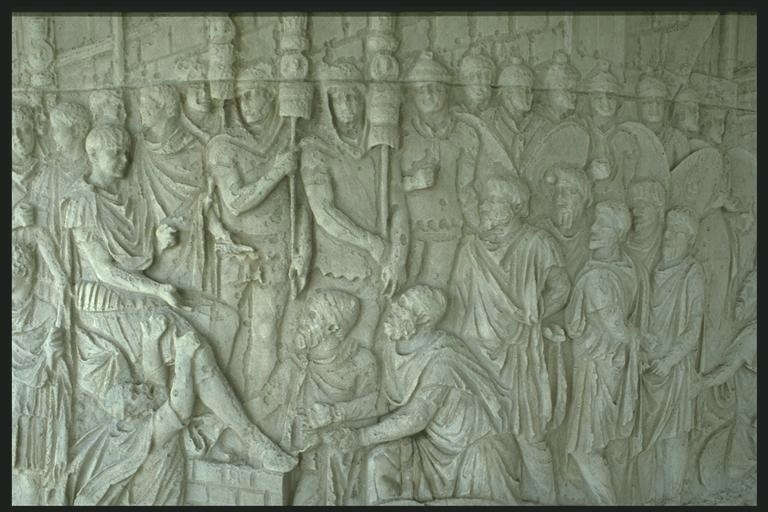 As a result, the Roman leader, Trajan, prepared his forces to fight against the forced of the Dacian Empire led by Decebalus. Battle began between these two nations in 101 A.D. and lasted until roughly 106 A.D. over the period of two wars (Schmitz 7-8). These wars took place on the Dacian’s land, which was in their favor, but they ultimately ended up losing although they dealt many devastating blows to the Roman forces. As the wars waged on between these two forces, the Romans took many captives and the number of slaves only increased once they claimed victory in the war. The prisoners were treated poorly and expected to complete many tasks for the Romans. The slaves could be assigned any number of tasks including stone work, although they were given low quality tools to work with (Petrie 1917). Although the prisoners provided large amounts of labor for the Romans, they were also used to show a symbol of status and wealth among the Romans. Along with the gold and silver, the servants received from the war were considered to be a part of the goods gained for the Roman Empire. They were displayed in front of the emperor, along with other treasure, as a part of celebration for the Roman army (Cracknell 2010). As the picture demonstrates, the slaves were brought before the king not only to be shown off, but also to pledge their allegiance to the kingdom. It was important for the slaves to know that they were now a part of the Roman culture and under its influence for the remainder of their existence. Petrie, W. (1917). 104. links of north and south. Man, 17(Oct), 158-162.